Tinnitus, known commonly as a “ringing of the ear,” is a condition in which people experience sounds where there is no external stimulus. Symptoms come in many different sounds, such as whistling, whooshing, clicking, hissing, or buzzing. The American Tinnitus Association (ATA) estimates that millions of Americans “experience tinnitus, often to a debilitating degree, making it one of the most common health conditions in the country.” Approximately 15% of Americans – over 50 million people – experience tinnitus, whether it is temporary or chronic. The ATA estimates that about 20 million Americans experience chronic tinnitus, with 2 million experiencing debilitating cases. Tinnitus has the potential to contribute to increased levels of stress, anxiety, and depression. Tinnitus has been linked to memory problems, the ability to concentrate, and fatigue. Tinnitus has been known to affect a person’s emotional well-being, interfering with social interaction and employment. In recent years, tinnitus has begun to receive much more attention and more dedicated research. The US Department of Defense has put millions of dollars into research, due to a high number of Iraq and Afghanistan veterans suffering from tinnitus after exposure to the shocking, loud sounds of war. In most of these cases, veterans also suffered varying levels of hearing loss. With subjective tinnitus, only the person who experiences can hear the sound. It is the more common form of tinnitus, making up more than 99% of cases. Because our bodies and nervous systems differ from person to person, these sounds take many diverse forms. Causes of subjective tinnitus include sensorineural hearing loss due to damage of inner ear hair cells (aging, exposure to loud noise, and even certain classes of ototoxic medication); Meniere’s disease; impacted earwax; or another related medical condition. The second form is objective tinnitus, which comprises less than 1% of cases, and has been linked to circulatory or somatic systems in the body. Both the person who experiences objective tinnitus, and a person sitting in close proximity, may hear the sounds. Objective tinnitus takes the form of pulsatile tinnitus, in which increased blood flow or muscle spasms affect the ear. In some cases, pulsatile tinnitus is synchronous with the beating of the heart. Other cases indicate a problem with the small muscles of the middle ear or the bones of the inner ear. Conditions such as high blood pressure and others that affect blood flow may lead to objective tinnitus. In these cases, by treating related medical conditions, people may find relief from their symptoms. At Advanced Tech Hearing, we offer hearing aids equipped with tinnitus therapy from several manufacturers: Starkey, Unitron, ReSound, and Widex. While there is no cure for tinnitus, there are many effective treatments. Tinnitus appears in 80-90% of hearing loss cases, which has led to hearing aid manufacturers producing hearing aids that address its symptoms. Many hearing aid manufacturers offer sound masking therapy, in the form of synthetic or nature sounds, to mask the irritating sounds of tinnitus and re-train the brain to hear. Often times, the use of a hearing aid helps with tinnitus. Hearing aids amplify sounds in your environment, and by providing clear external sound signals, this could help with internal sounds of tinnitus. 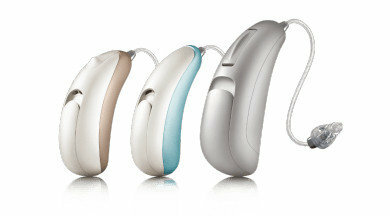 Starkey hearing aids offer Multiflex Tinnitus Therapy in Muse, Halo 2 and SoundLens (Synergy) hearing aids. Multiflex Therapy creates comforting sound stimuluses that is customizable to soothe specific symptoms. Xino is Starkey’s standalone treatment option. Unitron tests instruments on real hearing patients, using feedback from audiologists to shape their products. Unitron’s latest innovation is the Tempus Processing Platform, a new sound navigation program that focuses on specific environments. 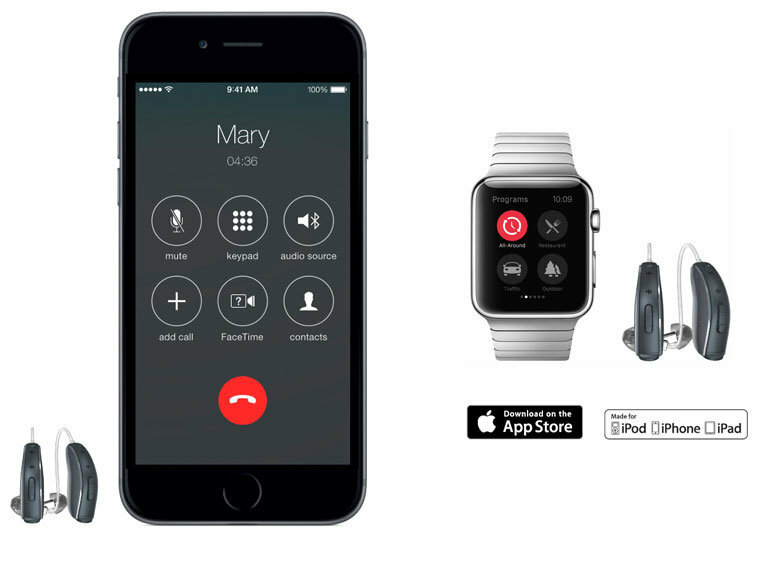 With a focus on speech recognition, Tempus offers four settings for conversations alone. Widex ZEN tinnitus technology is a comprehensive way to manage tinnitus.The Widex ZEN tinnitus technology was created to ensure that tinnitus does not negatively impact your quality of life.